Make a difference in your life and in the lives of others by joining a Lindenwood University Greek organization. The Greek men and women of Lindenwood University are dedicated to leadership, service, friendship, and scholarship. By providing purposeful leadership training and academic support, we strive for excellence in all our activities. We are committed to providing life-long relationships through the use of philanthropy, community service, and social engagement. Since 1825, all but three U.S. presidents have been members of a fraternity. The first female astronaut and the first female United States Senator were affiliated. Members are more likely to be fully engaged in their employment. Members are more likely to have higher academic achievement and are more likely to persist to graduation than our non-affiliated peers. Members make up the largest network of volunteers in the United States. Academics are an important aspect of our Greek community. By placing a strong emphasis on academics, we are able to encourage ourselves and others in our campus community to strive for better grades. We are able to achieve this through the use of tutoring and mentoring programs, hosting study nights, and various other academic opportunities. As a result, our members are more likely to be involved in academic honor societies on campus and achieve higher grades. Our Greek community prides itself on our commitment to making our community a better place through volunteering our time and by raising money. Each organization and each member is specifically involved in community service and philanthropic pursuits. By donating thousands of volunteer hours and raising thousands of dollars each year, we join together with our brothers and sisters across the country to make the largest network of volunteers in the country. Our members dedicate hard work and time to several causes, including the fight against cancer and diabetes, helping the homeless, assisting our veterans, and rebuilding our communities, to name a few. As one of the largest values-based groups on campus, we have one of the largest alumni networks in the country. With over 9 million alumni, membership in a fraternity or sorority will provide you with countless networking opportunities on our campus and beyond graduation for friendship, career development, and emotional support. Our alumni are found all over the world and understand our shared experience. By utilizing this network while in college, you are able to begin building bridges for success after graduation. While we encourage team spirit and shared values, we also stress the importance of the individual to succeed. Members of the Greek community are not only leaders within their individual organizations, but also on campus through participation in organizations such as Campus Activities Board and the Lindenwood Student Government Association, to name a few. Becoming Greek is the easiest way to get involved on campus and enhance your college experience outside of the classroom. By also providing opportunities for local and regional leadership, Lindenwood University Greeks are often involved with several student organizations on campus. Their participation allows them to learn a variety of skills and expertise while keeping in close contact with friends outside of the Greek community. As affiliated men and women, we understand that the first priority of any student is academics. However, we do understand that the collegiate experience also exists outside of the classroom. Social and recreational activities provide students with opportunities to meet a variety of people and cultivate life-long relationships. 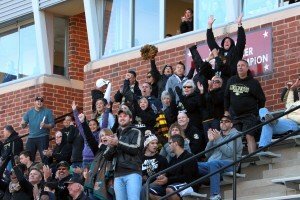 These events provide our men and women with needed time to socialize and relax after classes during large events such as Greek Week and Greek Athletic Days (where we attend Lindenwood University sporting events as a group), to smaller social events such as tailgating, BBQs, and movie nights.